Mary Elizabeth Reneau Bollin, 85, of Kewanee, IL, formerly of Hamilton, IL, passed away unexpectedly on Friday, November 23, 2018 in Kewanee. She was born on December 20, 1932 in the ancestral stone home of her grandparents outside of Hamilton, the daughter of Walter and Grace (Potter) Reneau. On September 14, 1952 she married Arden Bollin at the home of her parents in rural Hamilton. He survives. Mary was a 1949 graduate of Hamilton high school where she played basketball and baseball on the girls’ teams. She worked as a receptionist in the office of Dr. B.C.Kappmeyer before her marriage. She and Arden met at a dance in Powellton, IL. They were married for 66 years. 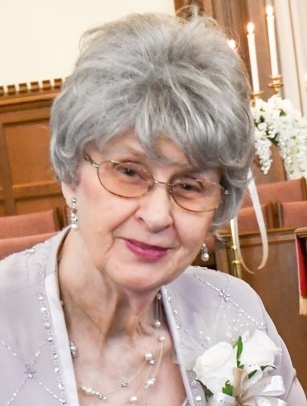 A member of New Testament Christian church in Keokuk, IA., and former member of Golden’s Point Christian church near Hamilton, she faithfully served in many capacities. Faith and family were central to her life in all her endeavors. Mary was a lifelong helpmate/partner to her husband on the farm and was well known for her excellent home cooking, including family dinners made with ease for ten or fifty, as well as canning/freezing heaping quantities of produce. Fishing with her family was a favorite past time. As a Shaklee (subsequently Neo Life) representative during the 1970's and ‘80's, she provided nutritional supplements for her many customers. She had also raised pedigreed poodles and Lhasa Apsos. Survivors include a son, Jerry (Bonnie)of Quincy, IL: two daughters, Nancy (John) Corey of Morning Sun, IA, and Judy (Tom) Ratliff of Kewanee, IL; seven grandsons, Loren Bollin, Kendall(Kristy)Bollin, Darin Bollin, Marc and Matthew Corey, Brian(Stacey)Good, Stephen Good; one granddaughter, Stephanie (James) Hancock; four great-grandsons, Brock Bollin, Clayton and Logan Bollin, Ezra Hancock; and five great-granddaughters, Kenzie Bollin, Anna, Kate, Sara, and Lily Hancock. She was preceded in death by her parents, a brother, Robert Reneau, and his wife, Glenda. A Celebration of Mary’s Life will be held at 11 a.m. on Saturday, Dec. 1, 2018, at New Testament Christian church, 1578 Hilton Rd, Keokuk, IA, with burial to follow at Oak Grove cemetery, 905 E County Rd, Hamilton. Visitation will be held at the church from 9 to 11 a.m. on Saturday directly before the service. Memorials may be directed to New Testament Christian Church.